We have launched this website to showcase a variety of our art pieces. The pictures shown on our website are representations of our art work. Colors and sizes will vary piece by piece. Each piece is unique as each is hand made and signed. We have some individual art pieces in stock that are available for immediate purchase. Please contact us to order any piece you may be interested in purchasing. The Product Gallery offers examples of our art work that may or may not be in stock at this time, but may be commissioned. Kentucky Farm Bureau presents Bluegrass & Backroads. Twyla and Lonnie Money's art is one of a kind and these self taught artist want to tell you their great story. 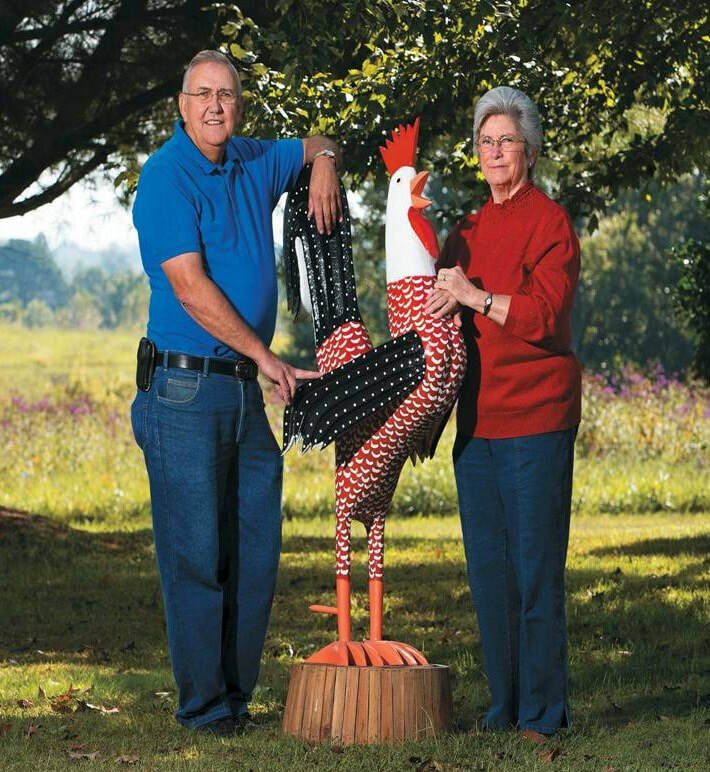 Watch our Kentucky Farm Bureau's Bluegrass & Backroads: Money Folk Art by clicking on the link. We want to offer an opportunity to our valued customers to purchase our items directly from our shop. Join us on Facebook: www.facebook.com/lonnie.twyla.money We design each piece, Lonnie carves it from wood or sculpts it from gourds and Twyla hand paints it. Each piece is signed by both of us. Lonnie and Twyla Money were both born in Laurel County, Kentucky. Lonnie is descended from Jacob Money, a 19th Century Swiss immigrant who had been a wood carver in the old country. Twyla Darty, whose family has farmed in the county for generations, grew up a mile from ​the house and hilly farm where she and Lonnie live now on Money Road.